..and wish to learn a bit more about the Art Deco lights that graced the homes of that exciting time in America's history when gangsters ran the streets, speak-easys were common, and rich ex-businessmen sold apples on corners for a penny - then the Kelly Art Deco Light Museum gives a rare glimpse of the years 1928 to 1938. The variation of designs for this time period is simply amazing. And best of all - admission is free! It has the unique attribute of being the ONLY American Art Deco slip-shade museum in the world today. 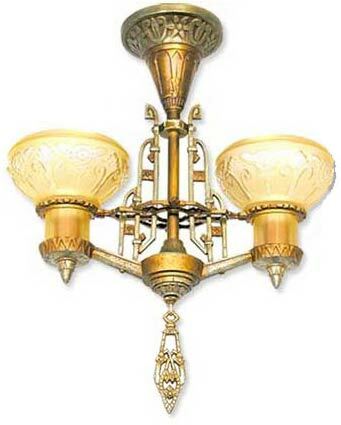 It is estimated that you could visit 100 antique shops and not find one of these lights. And some lights, you would never see - even after visiting 10,000 shops! Some lights are so rare that no books have ever documented them and some became obsolete before a catalog could be made to sell them. It was a turbulent time in American History. Think about it... apples selling for a penny while some of these fixtures were selling during the depression for $25. The customers had to be very interested indeed. 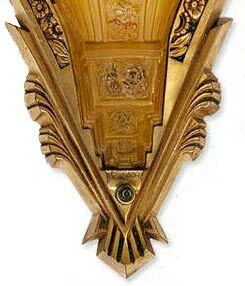 ...and see over 400 fixtures in our Art Deco museum - including Art Deco chandeliers, wall sconces, and table lights that graced the homes of middle and upper class during the Great Depression. There are other fantastic Art Deco museums out there, but none that concentrate on the sort of lighting during these times. please give us a call at (360) 379-9030.